Yes, after more than 8 years of development, finally !!! Here is the dowload link for windows and here for ubuntu. Anyways, after I read this news on Phoronix, I told Amit, so he downloaded installer for windows. After an hour of playing with the options and googling, we got unicast and broadcast working…. 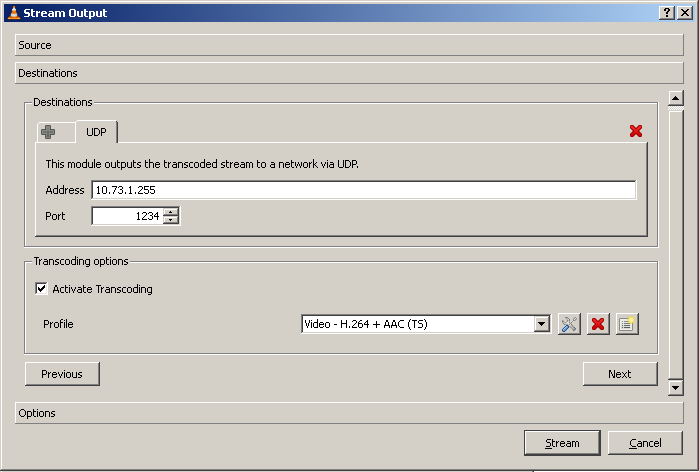 1- Find out the ip-address of the client computer, where you want to enjoy the video. e.g. – 10.73.1.6. 3- Press “ctrl+s” or click on Media->Streaming. 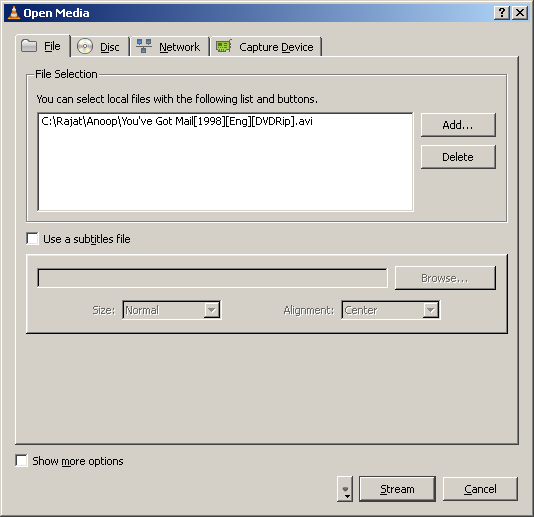 4- Add the file to stream. 5- Press the button “Stream”. 7- Choose “New destination” – “UDP”. 12- It’s (server) now streaming the video. ———-for more information visit this link or this one. Now you can enjoy the show anywhere on the network…..